The month of March is such a tease here in New England. Technically March 20th is when spring begins, but why does the whole month feel so much like the dead of winter? Many of us develop a serious bout of Spring Fever, longing for the really nice weather to finally arrive. New beginnings, longer days, more sun, flower buds and most of all…fresh air and the freedom to walk outside without first needing to bundle up. I warmly(!) remember last summer when I brought my two boys, Chase (now 4) and Drew (now 2), to our neighborhood farm, Volante Farm in Needham. An otherwise ordinary occasion of stocking up on our regular items—and engaging in hostage negotiations over how many treats the boys were not allowed to get—turned into something unexpected and special. That day Volante Farm was hosting a “Fairy Garden Workshop.” Beautiful garden containers were filled with succulents, tiny flowers, miniature fairies, and whimsical accents and decorations. These fairy gardens, some large and grand and some just in a little flower pot, looked more like fairy villages that each held its own secretive magical fairytale. My boys delighted in peering into each fairy garden. My older son, Chase, began to tell his little brother a story about the fairies who lived in the magical village. “They are all going to meet at the beach,” he explained, as he pointed to a faux beach made of blue rock marbles. As I looked around at everyone at the workshop—boys and girls, toddlers and great grandparents—I was fascinated at the delight these simple little gardens could bring to such a wide audience. But then again, who doesn’t love fairies? Don’t they have magical powers and grant your every wish? These fairy gardens became the inspiration for Pink Elephant’s first collection: Enchanted Garden Party for Spring 2017. 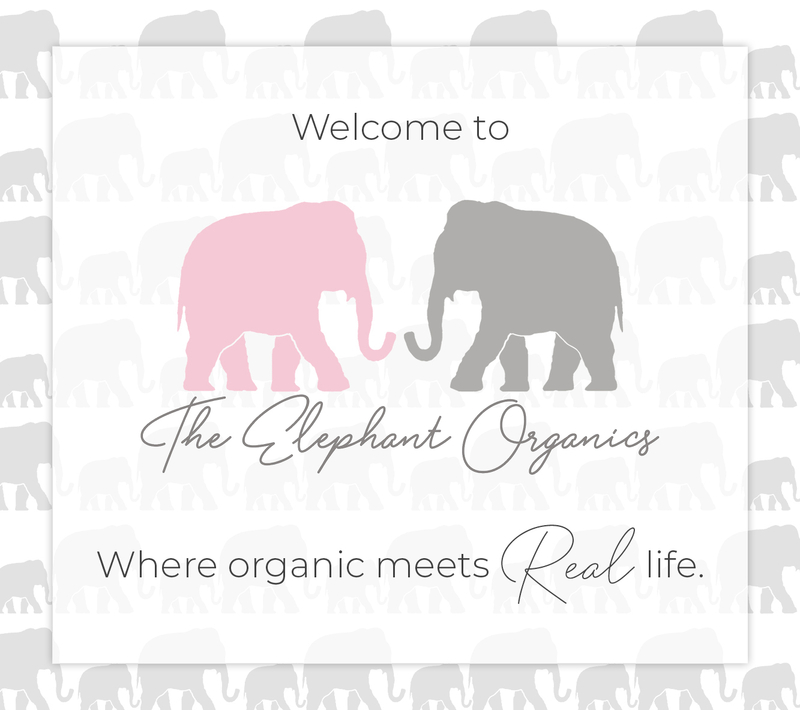 The whimsical collection is filled with fairies, flower fairies, unicorns—and, of course, a Pink Elephant—all having a tea party in a magical flower garden. We commissioned Therese Cillia, an artist and children’s book illustrator, to create Pink Elephant’s Enchanted Garden Party. The scene, featured on one of our t-shirts, became the launching pad for our special designs. Each piece in the collection needed to feel a little whimsical… and each print needed to encourage children and parents to open their imaginations. Just as the fairy gardens provided an escape for my family and other customers at Volante Farm that day last summer, we offer you a tiny escape as you look forward to springtime while exploring the whimsical prints and designs of our Enchanted Garden Party Collection. Personally, I have so much enjoyment from escaping the winter blues by working on launching the Enchanted Garden Party Collection! I recently decided to provide my boys with a little escape, too—we created our own fairy gardens at home this winter. A sneak peek of spring in the middle of winter—it was such a fun thing to do! 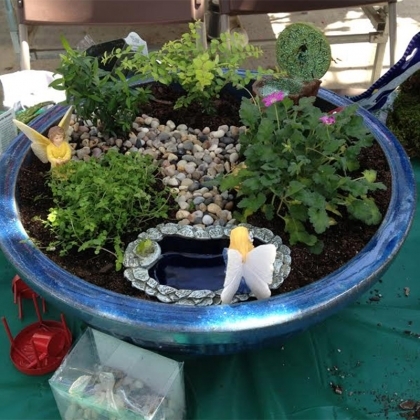 For information on how to make your own fairy garden, please visit Elsie’s Craft Corner. We hope you enjoy our first ever collection, the Enchanted Garden Party.